Frederique helped scale Uber from 80 employees to 7,000+, and from 14 cities in 4 countries to 400+ in 68 countries in 4 years. But the mindset that got her there is a longer story; going back the 15 years she's been in Silicon Valley, the single most important factor in her success has been happiness. Frederique discusses the most powerful lessons she's learned from her experience — all of which you can apply right now: What it means to live elegantly, and how this can become your secret weapon. The qualities you can learn to make you a networking success. How to make even the toughest struggles a positive experience so you can keep gaining strength and power. 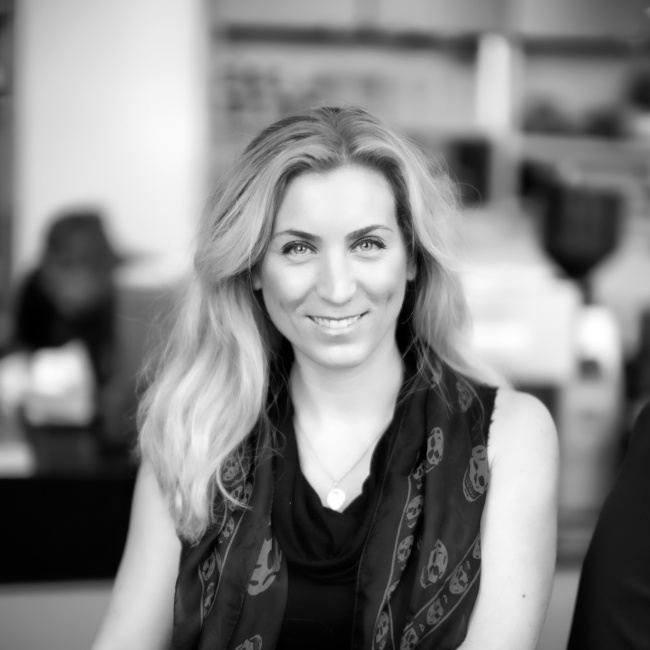 Frederique is an angel investor with 15 years of experience building consumer and enterprise products for both public companies and start-ups in Silicon Valley. Most recently, Frederique helped scale Uber from 80 employees to 7,000+, and from 14 cities in 4 countries to 400+ in 68 countries in 4 years. Prior to joining Uber, Frederique built large-scale social products at Yahoo!, Photobucket, and Smugmug. Frederique holds a Master of Science in Spacecraft Technology and Satellite Communications from University College London and a Master of Science in Telecommunications Engineering from Télécom SudParis. Frederique was born and raised in Nice, France and now lives in San Francisco, California.